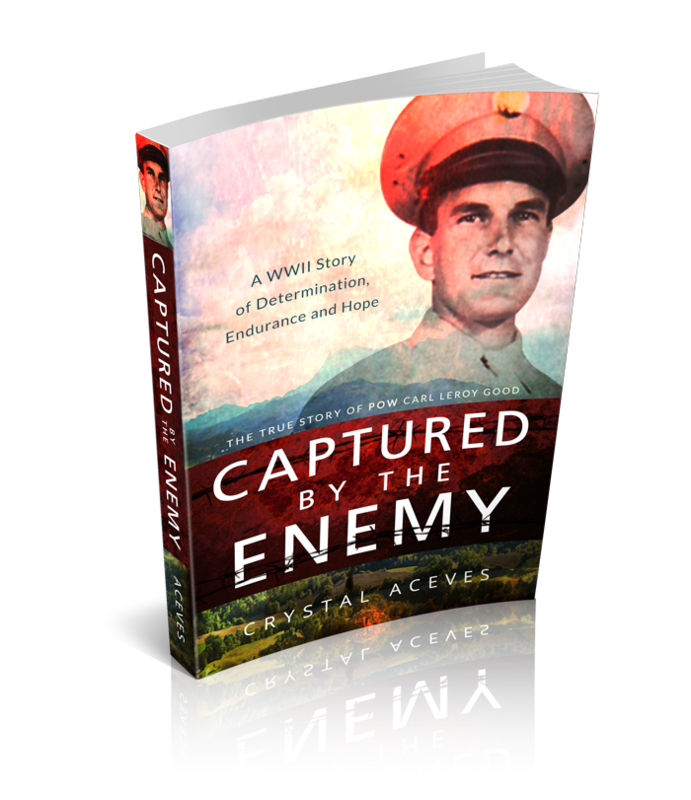 In honor of my granddad, all educators (homeschool, public, or private) have a chance to get a paperback copy of Captured by the Enemy: The True Story of POW Carl Leroy Good. So, here’s the deal. I received a shipment of books that printed too dark (mostly on the pictures), but still read fine. I can’t sell them like that, so I will ship them out to interested educators (homeschool, public, or private) for only the price of what it costs me to ship media mail–$4.00! I only have about 20 copies available. The only way to get it at that price is to fill out the short form below. I will then send you the PayPal link. The first ones to pay, will receive the copies until they run out. The book itself is totally FREE. Written as creative nonfiction (also known as narrative or literary nonfiction), it provides true stories with WWII facts and history. What gets better than reading an interesting book that reads as a novel but promotes learning at the same time? This style of writing gives the reader the best of both worlds. Depending on student maturity, I would say it would be best for 7th graders and up (Middle school, high school, and college history/war classes), but I would like to know what you think. Could it be used to enhance your curriculum? Could this book be used to teach about the personal perspective of WWII that doesn’t get talked about as much? If you submit it and it doesn’t show the information you submitted, try one more time. You should see a summary of your information.